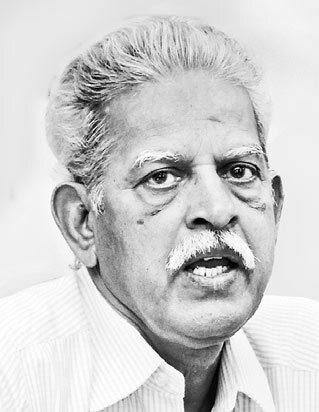 President of the Viplava Rachayitala Sangham and convenor of the Forum for Alternative Politics Varavara Rao, in an interview with Anil Kumar, speaks about the ‘Janata Sarkar’ being implemented in the Dandakaranya region and the Maoist movement in the country. Q: What was the reason for floating the Forum for Alternative Politics? A: The Forum for Alternative Politics was formed to unite all forces revolting against the global development model and to solve long-standing problems being faced by various sections of society. The forum will provide an alternative to existing politics. Q: Is transition from the present political scenario to your proposal possible? Two Indian police officers were injured over the weekend when Maoist insurgents detonated a landmine below their convoy. In an email interview, P.V. Ramana, a research fellow at the Institute for Defence Studies and Analyses in New Delhi, discussed the insurgency of Maoist groups, also known as Naxalites, and the Modi administration’s response. 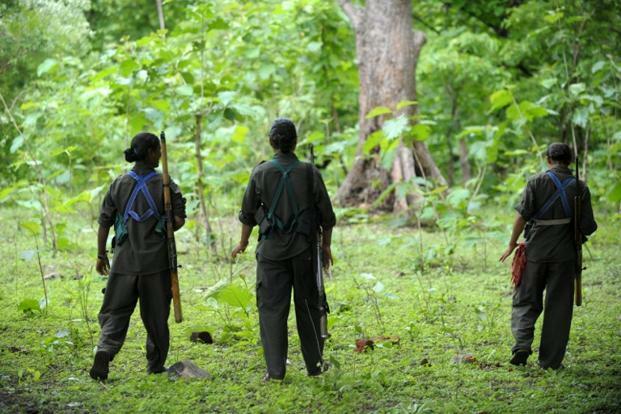 WPR: What is the current status of the Naxalite insurgency in India? 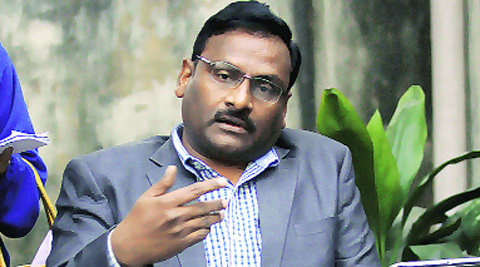 The Nagpur bench of the Bombay High Court has rejected the bail application of Delhi University professor G N Saibaba, under arrest since May for his alleged Maoist links. Justice Sunil Shukre , while rejecting the argument of Saibaba that he couldn’t be branded a Maoist or even a sympathizer only on the basis of the resemblance of his social activism with Maoist ideology, said a prima facie case exists against him for involvement in Maoist activities and for his being a prominent and important Maoist leader, according to Government Pleader Bharti Dangre. 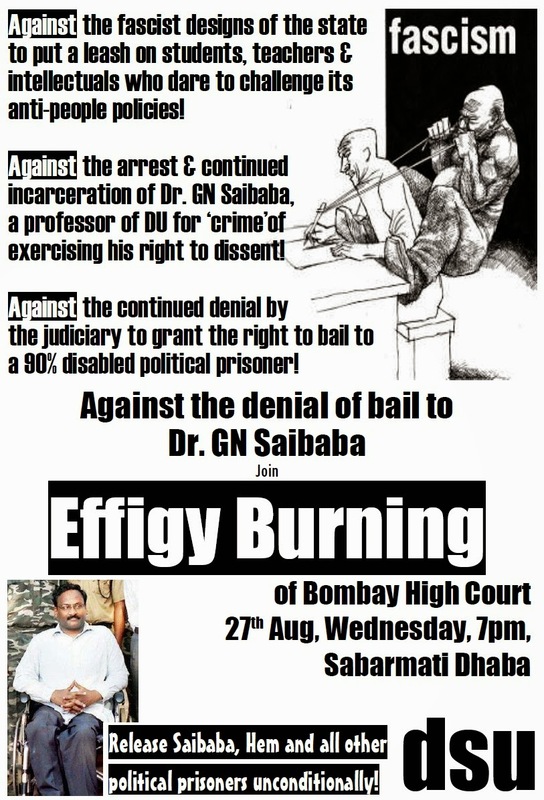 Saibaba also cited his physical disability as ground for bail. That too wasn’t held valid by the court, according to Dangre. Even as the Narendra Modi’s government readies a new anti-Maoist doctrine, Maoist seems to be gaining ground in the districts of Maharashtra and Odisha, where they had considerably diminished under the previous regime. As per the half yearly report of the Central Intelligence Committee, accessed by India Today, the district of Gadchiroli in Maharashtra which was once cited by the Manmohan Singh government as the model for other Left Wing affected States has witnessed mass killings. VISAKHAPATNAM, Aug 24: Trouble seems to be brewing for security forces in Visakhapatnam district going by the huge turnout of tribals at an anti-bauxite mining meeting organized by the banned CPI Maoist party on the Andhra-Odisha Border (AOB) on Saturday. Nearly 800 people from 25 villages attended the meeting organized by the Adivasi Viplava Raitu Cooli Sangham and Manyam Pituri Senathat, allegedly led by the Galikonda area committee secretary Gopala Krishna alias Azad and senior leader Krishna, who was reportedly sent to Dandakaranya. Though the main Maoist leaders were not visible, sources said they supervised the meeting with the help of active cadres and militia members. The four-hour long meeting, held under the watchful eye of armed cadres covering the 4-5 km stretch from the venue, demanded that the government to withdraw its decision to mine bauxite reserves in Visakha Agency, failing which people would retaliate with a militant struggle. Such a big meeting was last conducted by the Maoists two years ago in the Korukonda area of Visakha Agency. That meeting was supervised by the east division committee member Narender, who was killed in an encounter in Koraput district on March 5 this year. It may be recalled that the Maoists killed a tribal of Killamkota colony in G Madugula mandal in the district on Thursday night by branding him a police informer. According to sources, one of the Maoists, who addressed the tribals, said that with the government trying to loot the natural resources of the tribal areas, it was high time they gave a befitting reply to the government if it went ahead with the proposed mining. Those addressing the meeting asked the people to take up an armed struggle against the government and corporate giants like Jindal and AnRak as mining would prove costly for tribals even if it was done through ITDA or APMDC (Andhra Pradesh Mineral Development Corporation) because it would be sold to the same companies. They demanded that all mining licences be cancelled. Alleging that ultimately tribals would lose their rights on forests, land and water sources, Maoists urged them to join the Manyam Pituri Sena in large numbers. Even people led by the Red guerillas raised their voice against the proposed bauxite mining during the meeting and announced that they were preparing themselves to take up an armed struggle against the state government. According to sources, the latest meeting indicates that Maoists are going all out to regain their lost glory through the bauxite issue, said sources. VISAKHAPATNAM, Aug 23: After a nearly four-month lull, Maoists struck in the Visakha Agency again, killing a tribal at Killamkota in the mandal on Thursday night. However, the news came to light only on Friday evening after a villager came to the mandal headquarters and revealed the incident. The deceased was identified as 35-year-old farm labour B Balaraju. According to sources, a group of armed personnel allegedly entered the Killamkota colony, a Maoist stronghold area located around 30 km from the mandal headquarter, and dragged Balraju out of his house. They took him to the nearby village of Cherukubanda at around 7 pm where they opened fire at him. Sources said after killing Balaraju the Reds told the villagers that he had been killed because he was a police informer and warned the other villagers with dire consequences if they informed the police. When contacted, police officials said they had no information about the incident so far as no one had lodged a complaint in this regard. A senior police official said the killing may have been prompted by the need of the Maoists to show their presence in the districtby terrorising people to carry out the ongoing anti-bauxite agitation. Aug, 22 Mounting pressure of security forces on Maoists in the central Indian states of Chhattisgarh, Odisha and Maharashtra is forcing them to look for new bases in far South. According to reports prepared by a senior officer of the union home ministry based the CPI (Maoist) is trying hard to establish new bases on the border of Kerala and Karnataka. The report based on IB inputs, interrogation reports of captured leaders, seized Maoist documents and intercepts also claims that the CPI (Maoist) is engaged in establishing a forest route from Wayanad district in Kerala to Mysore district in Karnataka. “Kerala wants a CIAT (counter insurgency and anti-terrorism school). This should be considered as Maoists want to revive their South West Zonal Committee – at the tri-junction of Kerala-Tamil Nadu-Karnataka. 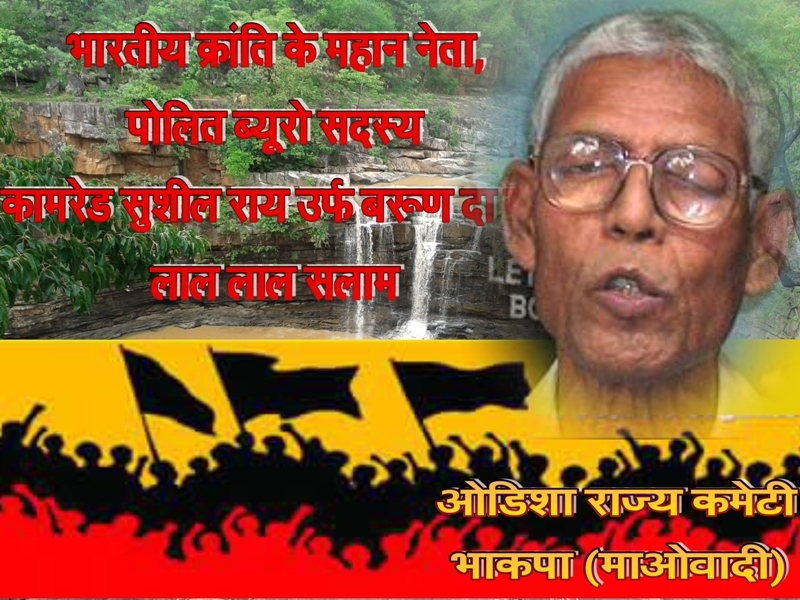 Proactive steps should be taken lest Western Ghats become Bastar-Two,” the report prepared by a senior official says. There is a presence of over 100 battalions in seven central Left Wing Extremism (LWE) affected sates of central India. It is going to be further beefed up with 10 more battalions of the CRPF and 37 India Reserve battalions thereby taking the total presence of security forces to close of 1.5 lakh pair of feet. “Despite being active, the CPI (Maoist) has not been able to establish themselves in these areas. Adding to the worries of Centre is the newly created state of Telangana that being soft on Maoists can be used as a safe zone in times of counter insurgency operations. 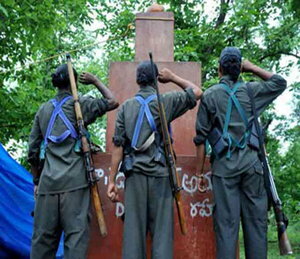 The Maoists plan to form a contiguous zone from Kerala-Karnataka-Tamil Nadu tri-junction to Bastar via Telangana. “This is a highly far-fetched scenario which can happen only if the security forces fail miserably and Maoists manage to get ample ground support,” said sources. “Our worries right now are Bihar and Telangana are the two soft spots where the Maoists could head to save themselves from the heat of security forces,” he added. Aug 20, The Maoist insurgency-hit Bastar region of Chhattisgarh is witnessing a propaganda war between the police and Maoists with both sides claiming to have inflicted heavy damage on the other. 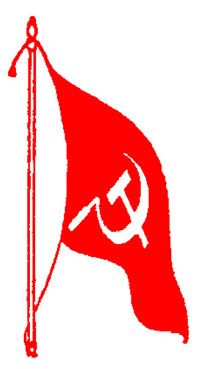 The outlawed Communist Party of India (Maoists) claimed that the party’s military wing, the People’s Liberation Guerrilla Army (PLGA), killed six commandos of the Commando Battalion for Resolute Action (COBRA) of the Central Reserve Police Force (CRPF) in an encounter in Bijapur district on August 10. In a handwritten press note from the South Bastar Regional Committee of the CPI (Maoist), the banned outfit claimed that the PLGA “shot dead” six COBRA commandos and inflicted serious injuries on four others in an encounter near Pawarguda village of Bijapur district. “A police party took the dead bodies and the injured jawans towards Murdonda area. But the police and district administration remained silent on the incident. It’s not yet confirmed whether they handed over those dead bodies to the families of the deceased,” said the South Bastar Regional Committee. However, police denied the Maoists’ claims. “It is not possible for police to hide such a big incident because we have to do so many formalities. 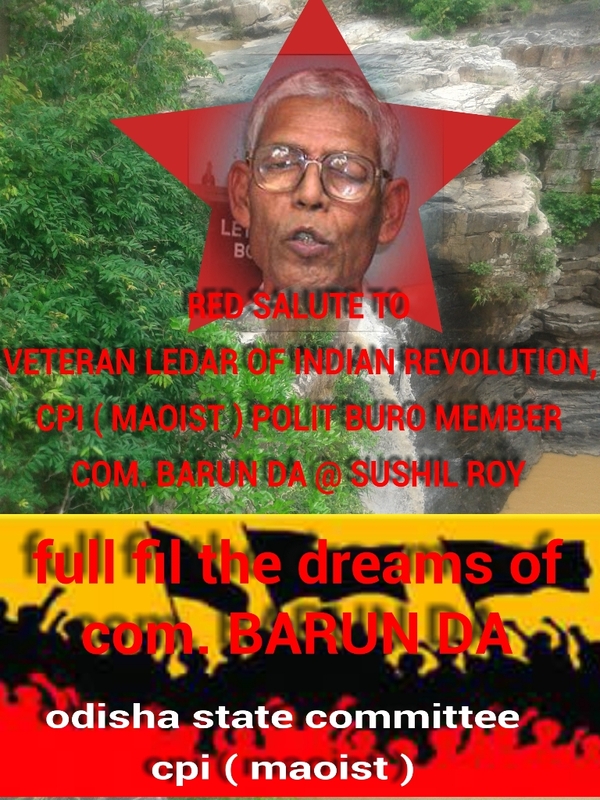 The Maoists are desperate and are on back foot. They (Maoists) are fighting a losing battle and are indulging in such false propaganda out of frustration,” reacted Mr. S. R. Kalluri, the Inspector General (IG) of Police, Bastar range. In a similar incident, Chhattisgarh police and the CRPF had claimed that they killed “at least 10 to 11” Maoists” in Ramram village of Sukma district on July 28 only to be rebutted by the Maoists who instead claimed that the security forces killed “two civilians” in the village. The South Bastar Regional Committee press release has also appealed the security personnel to “stop sacrificing their lives for the capitalists”. “Don’t fight for the capitalists and imperialists. Instead join our people’s movement,” the banned outfit told the jawans. Raipur, Aug 20: A helicopter of the Chhattisgarh government came under attack by Maoists while it was flying over a hilly region in south Bastar in the state, but escaped the assault with a minor damage, a police officer said on Tuesday. The incident took place late on Monday evening and has been kept under wraps “for security reasons,” the police official confided. “The copter came under firing by Naxals while it flying between Pamed and Bhadrakali in south Bastar district of Bijapur. The pilot felt a minor jolt but could not assess the situation. That the Maoists tried to shoot down the copter was known after it landed at Jagdalpur airbase where the ground staff noticed bullet mark on its tail,” he revealed. According to him, preliminary inquiry has revealed that light machine guns were used to target the copter. “A major disaster has been averted. The bullet missed the fuel tank and ro-tor by a few inches. Had it hit either of them, the copter could have crashed,” he added. This was the third incident of Maoist attack on a copter in Bastar in the current year. Bhubaneswar, Aug 20: Maoists killed a SPO jawan in Sundergarh district. Identified as N Munda, the jawan was shot dead by Red Rebels in Bandhagaon near Rourkela during a combing operation, sources said. They also left a black flag near his body, sources said. The bandh call by Maoists affected normal life in Malkangiri district, with busses remaining off the roads. Business establishments too were closed fearing Maoist violence. Black flags were placed at several places of the district including Kalimela College and some other educational institutes. However, security personnel removed these flags and seized them, sources added. It can be recalled on Thursday, police and BSF personnel had a miraculous escape during an anti-Maoist drive, when pressure bomb exploded near the Kalimela-Motu main road. Bhubaneswar, Aug 14 (IANS): A bomb planted by Maoists went off in Odisha’s Malkangiri district Thursday but no one was injured, police said. The rebels planted the pressure-activated improvised explosive device on a road near Telarai area. “It went off on its own,” Inspector General of Police Yashwant Jethwa told IANS “They had meant to target security forces. Nobody was there when the blast took place,” he said. 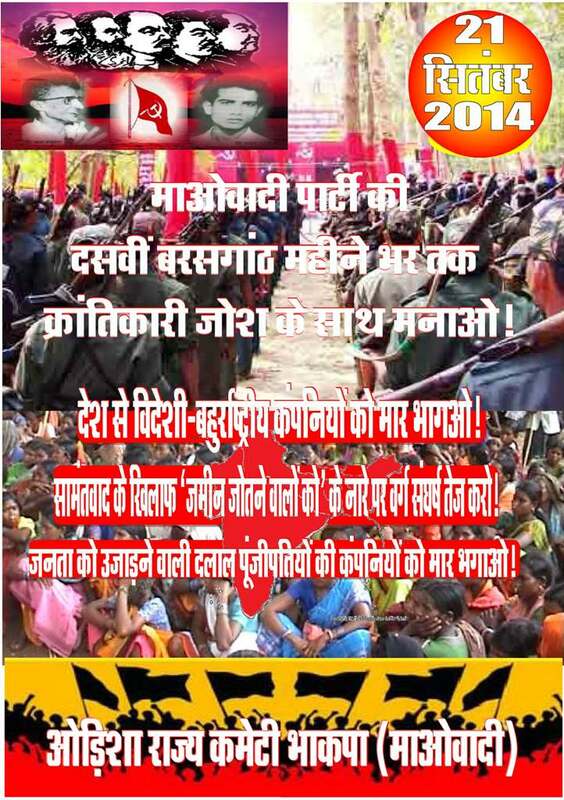 The Maoists have called for a boycott of Independence Day celebrations. 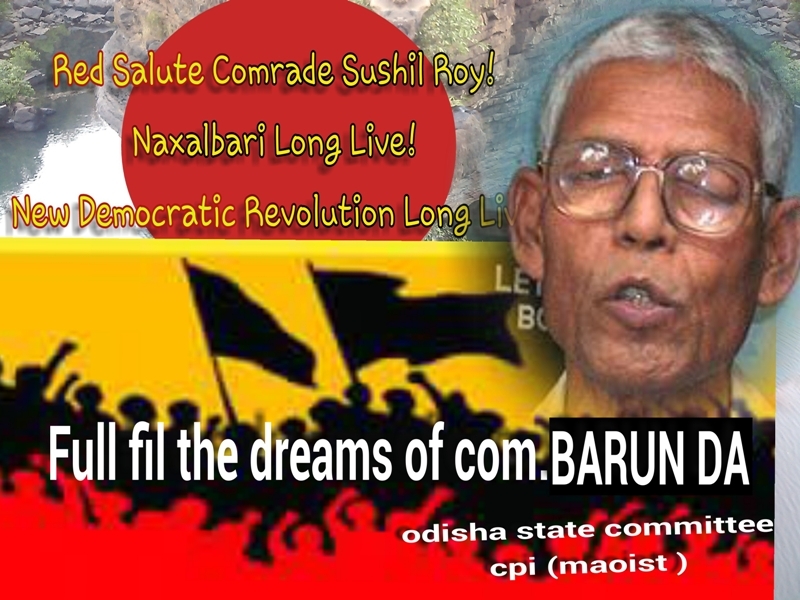 Malkangiri district, over 600 km from Bhubaneswar, is a Maoist stronghold. KORAPUT: With Independence Day only three days away, Maoists in Malkangiri district are gearing to observe it as Black Day. Each year on August 15, Maoists celebrate Black Day in protest against the alleged failure of the government in developing the tribal area. According to sources, Maoists along with their hundreds of supporters assembled in the thick forests of Marigeta in Kalimela police limits in the district on Sunday and urged the villagers to cooperate during the observation of Black Day. 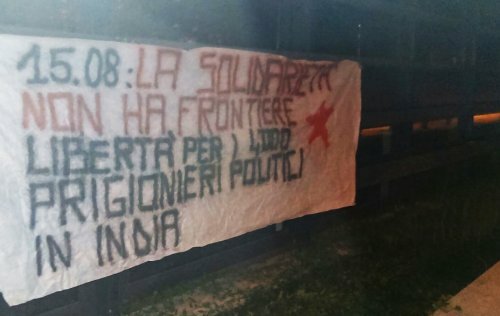 “After the meeting, the Maoists took out a rally from Marigeta to Bodigeta raising anti-government slogans. Also, in the meeting the Maoists demanded the withdrawal of central forces from the area and the release of innocent tribals who have been jailed on false Naxal cases,” a source at Kalimela said. Police said the developments were being monitored closely and all necessary security arrangements had been made to thwart any possible Maoist violence. “Keeping in view the Maoists’ observation of Black Day on August 15, elaborate security arrangements have been made across the district. Additional forces have been deployed at a few sensitive areas,” said Malkangiri SP Akhileswar Singh. 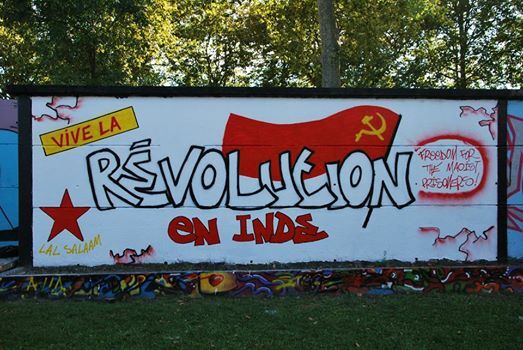 The August 15 is the Independence Day of India, but it is also a Day of solidarity with political prisoners. 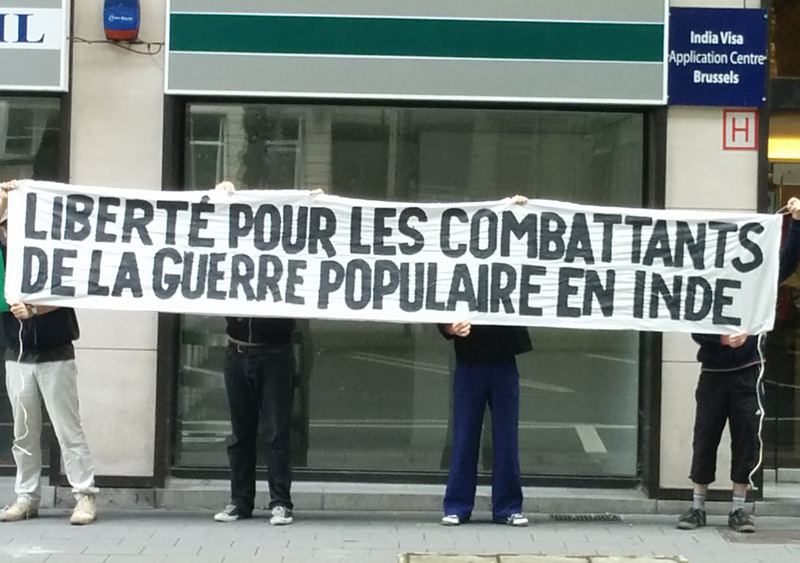 In this context, a banner has been put in front of the Indian Consulate in Brussels, a graffiti has been sprayed in Toulouse, and banners and posters stuck at the international film festival in Locarno (Switzerland). 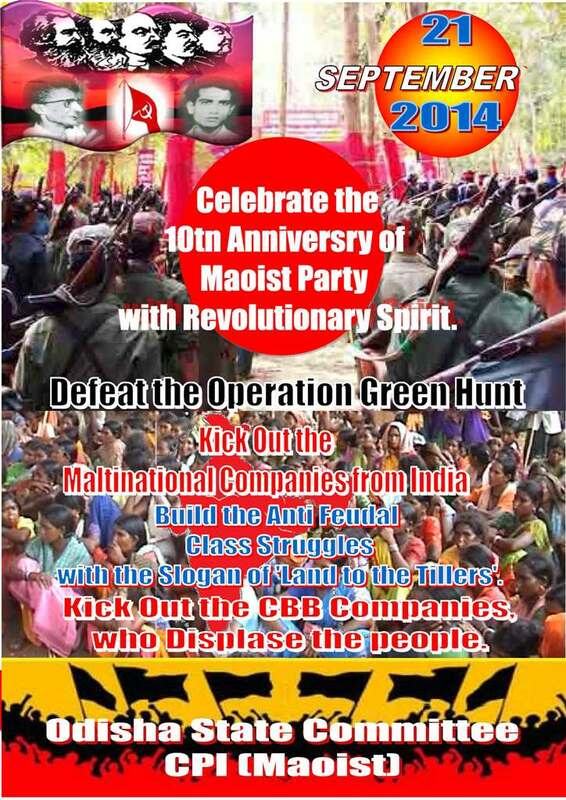 Hail the 10th Anniversary of CPI(Maoist)!